1. LinkedIn is actually THREE social media platforms in ONE (Personal, Company, and "Showcase"). 2. All three of these are very easy to set up. 3. Built to engage business-to-business. 4. Complements nicely with your Facebook business page. And the key to making LinkedIn work is having a stream of attractive content that is continually being added, that is helpful to your contacts both professionally and personally. One of the nicest features of LinkedIn for growing your business is that LinkedIn gives you three platforms for engaging people with your business. Personal Profile: Having a personal profile on LinkedIn gives you an opportunity to tell about yourself to people who are interested in doing business with your company. Here you can give info about your background, experience, qualifications, and any other information that you want to share that helps explain why they should want to do business with you. And LinkedIn gives you a URL so that you can have a link that will take people directly to your personal profile. Company Page: Once you have a personal profile, you can have a company page that is dedicated to your business. Here you can describe your business, your services, and what makes your business special and attractive to them for their needs. And what is nice is that LinkedIn gives you a separate URL for your company page, that you can give out instead of the URL that would have taken them to your personal profile. Showcase Page: And if you have a company page, LinkedIn allows you to have what they call a "showcase page" which you can dedicate to a certain part of your business. For example, if you are a home inspector, you can have a showcase page dedicated to just the mold or radon inspection part of your business. Or if you are a real estate agent, you can have a showcase page for working with buyers or sellers. And like the personal and company pages, LinkedIn gives you a separate URL for each of your showcase pages. 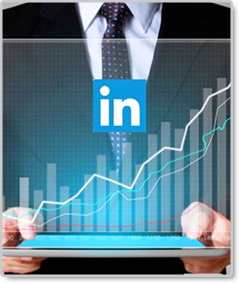 What makes LinkedIn special compared to so many other social media platforms is that the focus of LinkedIn is on connecting for business purposes. It enables business people to connect and stay connected with other business people, and for business people to connect and stay connected to businesses and parts of businesses that can help them or their own business. There of course is much debate about the value of LinkedIn versus having a Facebook Business page. But fortunately, they are not mutually exclusive. In fact, having both can actually complement each other, given that some people who are on Facebook may not be on LinkedIn, and some people who are on LinkedIn may not spend much, if any, time on Facebook. Setting up your LinkedIn personal, company, and showcase pages is a good start. But what enables LinkedIn to generate on-going leads and referrals for your business is to engage followers and keep them engaged by continually adding postings to your pages that include visually attractive images and videos, and which provide information that is helpful to them both professionally and personally. And APPLICA's new Social Media Dashboard actually automates all of this for you. So if aren't on LinkedIn yet or just have a LinkedIn personal profile, hopefully this article has helped you see how easy it can be to use LinkedIn to grow your business.